Welcome to Day 9 of 31 Days of Getting Organized by Using What You Have. Sometimes my kids like to do homework in different places; out on the lawn, in the car on the way to an activity, or even just in another room. This homework box is the perfect solution to having everything organized and ready when they are. And it’s made from things I had around the house. The dish carrier can be picked up from Ikea for free and you can actually use anything you like to cover it. 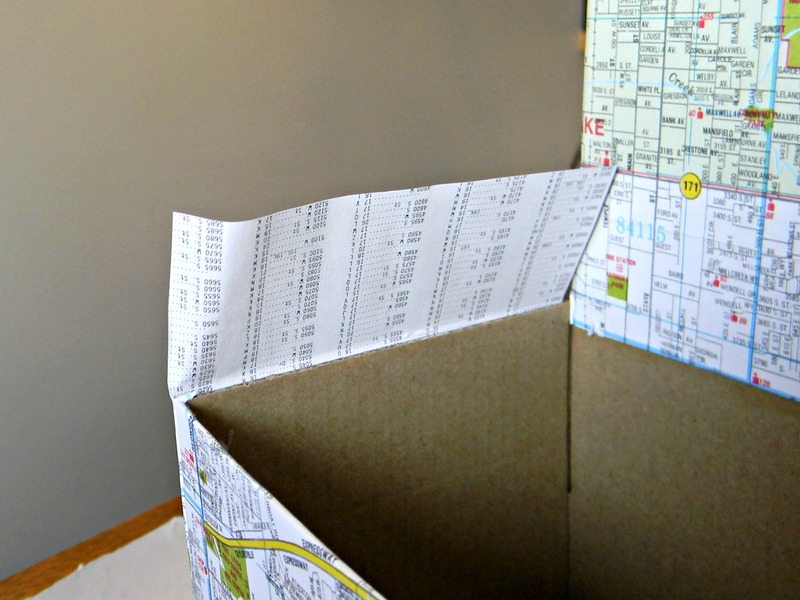 I used a map I found in the garage. 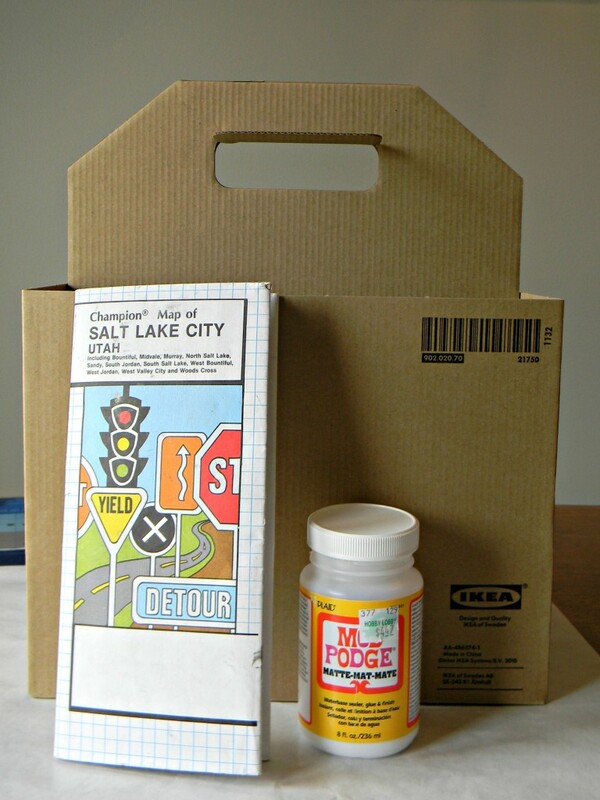 I traced around the carrier on the back of the map then cut out all the traced pieces and attached them to the carrier using mod podge. I made the side pieces an inch taller all the way around so I could wrap it around the top of the box and attach it on the inside of the carrier. 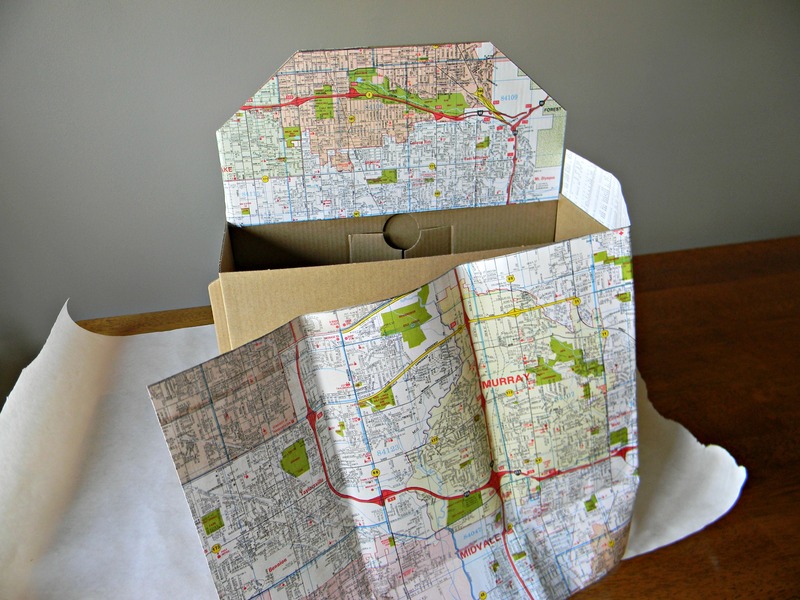 Just cut a slit in the map on the corner of the carrier to be able to fold it over. Once the carrier was finished it was time to add the supplies. 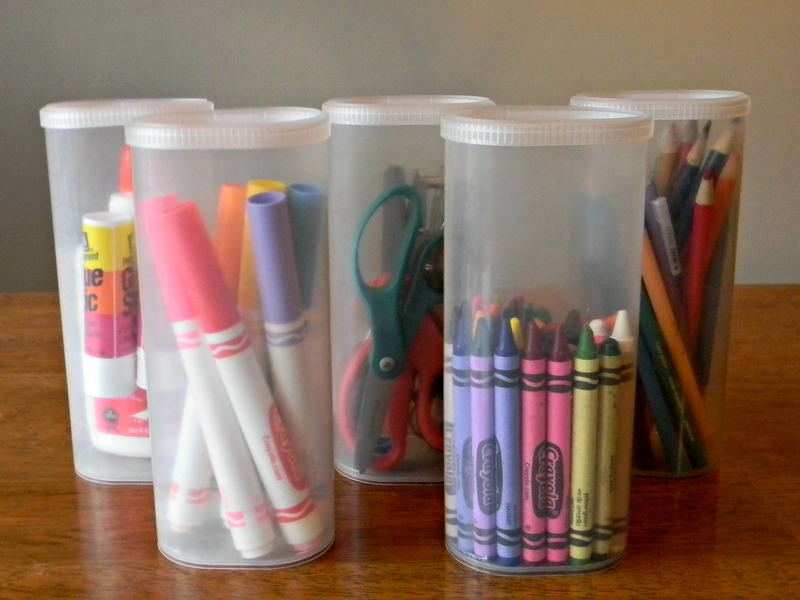 I used Crystal Light containers to keep the smaller supplies organized. 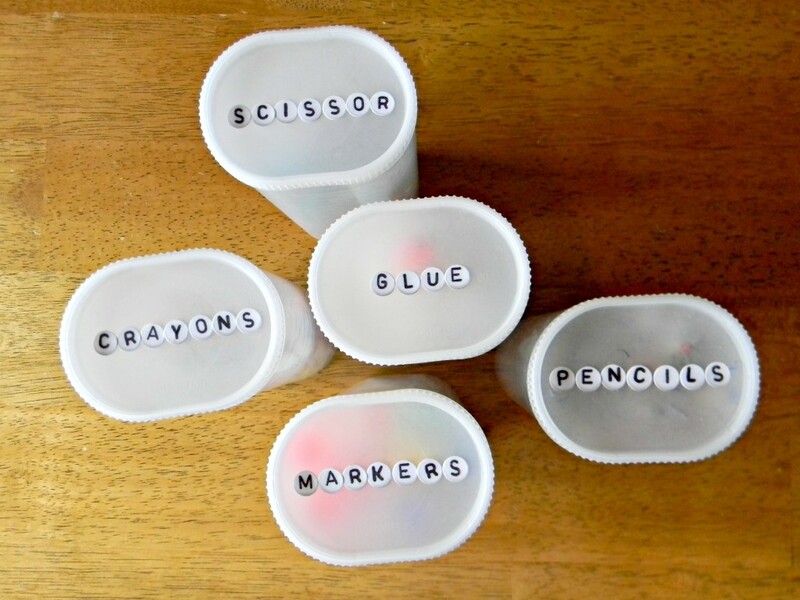 These small stickers are perfect to label the tops of the containers with the contents that are inside. 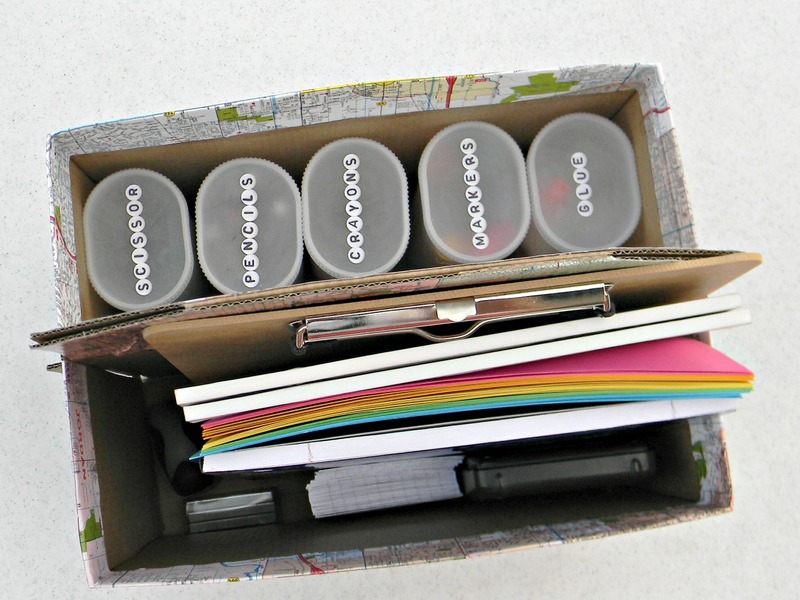 I added more supplies to the other side of the carrier: a clipboard, lined paper, colored paper, notebook, index cards, stapler, ruler and calculator. Now it’s ready for the kids. That’s an awesome idea. 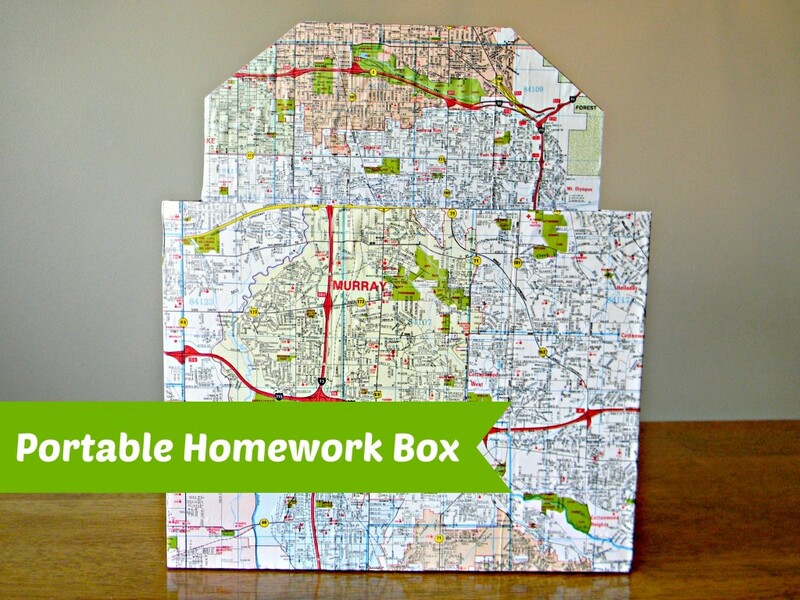 Specially that homework box. That would be good for my work stuff.